Are you a person who likes to be surrounded by beautiful, innovative things? If so, you might want to get an LED strip that lights up the TV on the back. An additional advantage when you watch television in complete darkness, having such a tape disperses light gently, so you do not have so tired eyes. At the back of the unit, you should tape the tape and place the USB plug in the socket of your TV or laptop. 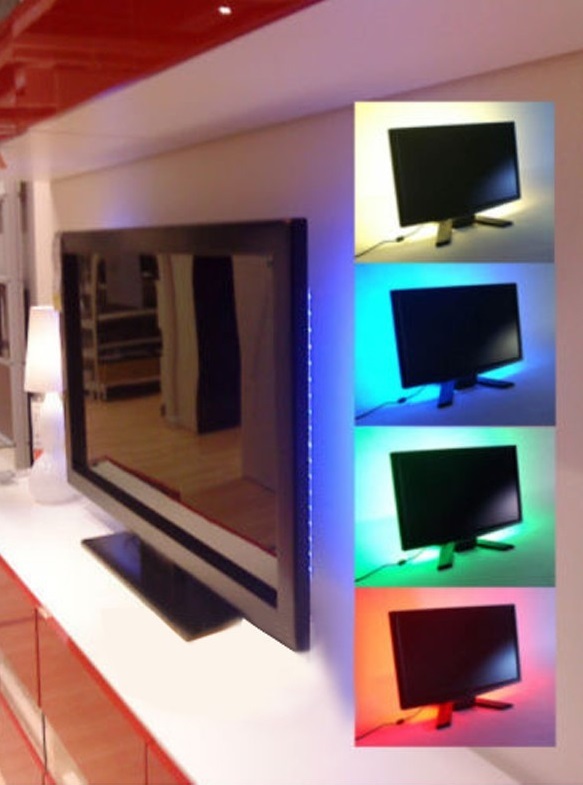 When you turn on the TV, you also start the LED bar. For this LED strip to work (and enjoy our eyes), insert the plug into the USB port. Such tapes are most commonly used for televisions and laptops. You can use them also on other devices, the condition is that you must have a USB socket. If you want to highlight, for example, the Regiment. You can use a network charger with a USB port as a power supply. White 30 cm SMD 5050 60 diodes / meter. For all individuals it is an interesting solution.